Drs. Gladnick and Justison have been providing outstanding dental care for families in Wilmington, Pike Creek, and the surrounding areas for a generation. Schedule an appointment and find out more about the skilled and gentle dentistry we provide. Welcome to the Pike Creek, Delaware, office of Drs. Mark Gladnick, DDS and Jason Justison, DMD, a fusion of Experience and Innovation. We specialize in family, preventative, and cosmetic dentistry, and have been practicing in suburban Wilmington, Delaware, for almost 30 years. Your entire family is welcome at our practice! We love serving our friends and neighbors in Pike Creek, Wilmington, and the surrounding communities! We offer the services your family needs for excellent oral health, from routine preventive care to advanced restorations and other treatment procedures. Welcome to the Pike Creek, Delaware office of Drs. Mark Gladnick, DDS and Jason Justison, DMD, a fusion of experience and innovation. We specialize in family, preventative, and cosmetic dentistry, and have been practicing in suburban Wilmington, Delaware, for almost 30 years. We welcome children of all ages and guarantee that they will enjoy their first dental experience with us. Our Pike Creek area office, convenient to Hockessin and Newark, focuses on creating a warm and friendly atmosphere designed to make your next dental visit an enjoyable experience. Our Kirkwood Highway location is convenient for patients in Hockessin, Pike Creek, Wilmington, Claymont, Milltown, Newport, Greenville, Bear, and Newark, Delaware, as well as Landenberg, Avon Grove, and Oxford, Pennsylvania, and Elkton/ Cecil County, Maryland. Our highly trained and courteous staff are standing by to answer your questions and address your dental needs. Simply call us at (302) 468-6742 for an appointment. Your time is important to us. No waiting for appointments! While x-rays are invaluable to a dentist in helping to diagnose dental problems, many patients are concerned about the radiation exposure. In our office we have eliminated these worries by using digital x-rays or Computed Dental Radiography, which requires up to 90% less radiation than conventional film. CDR imaging can reveal things that conventional x-rays cannot. The images can be magnified 300x their normal size to enhance a diagnosis. They can also be manipulated to correct contrast and the color can be adjusted to reveal hidden problems. So worry no more! If you need an x-ray in our office, you can rest assured that you will be not be exposed to harmful radiation. When is the best time for your child's first visit to the dentist? The American Academy of Pediatric Dentistry recommends that the first visit be within six months of the first tooth eruption. At our office, we take this opportunity, at no cost to you, to welcome your child into our dental practice and introduce him/her to our warm and child-friendly staff. This is really an informal and pleasant experience for your child. Many moms (and dads) bring their babies with them when they have their own teeth cleaned. Afterward, while they are holding their child in their laps, we do an informal dental exam for your child, again, at no cost to you! During this time, one of our doctors will assess the health of your child's gums and first teeth. He will also advise parents as to optimal nutrition and home care. We look forward to meeting your pride and joy! During sleep, the muscles and soft tissues in the throat and mouth relax. This shrinks the airway and increases the velocity of airflow as you breathe. This results in "noisy breathing" or snoring. The irritating noise isn't the only problem. The struggle for breath can result in soaring blood pressure, which can damage the walls of the carotid arteries and increase the risk of stroke. Dr. Gladnick offers a custom-fabricated snore prevention device called Silent Nite s1. The device is comfortable and small. It essentially moves the lower jaw forward, increasing space in the airway tube, allowing uninhibited breathing and eliminating snoring. Call our office at (302) 994-2661 to make an appointment and SNORE NO MORE. 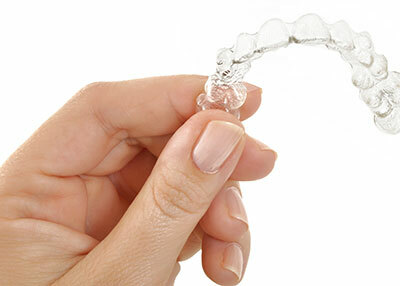 Is Invisalign right for you? 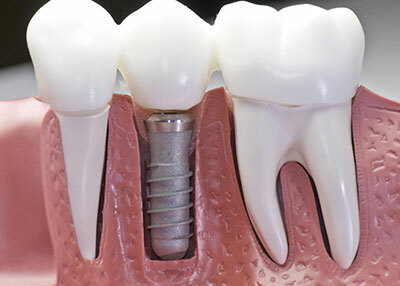 This is a great way to straighten your teeth without a mouthful of unsightly hardware. 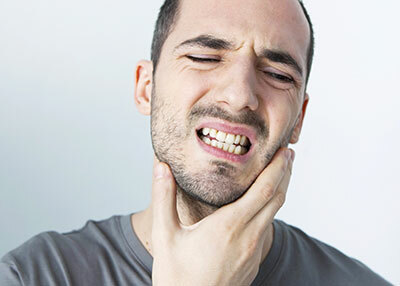 Make an appointment for a courtesy evaluation (a value of $275.00) by one of our doctors to see if you would be a good candidate for this nearly "invisible" way to straighten your teeth. Give us a call today at (302) 994-2660 to set up a convenient time for you.